Michelle Obama recalled the moment she broke royal protocol and embraced Queen Elizabeth II, while promoting her new memoir, Becoming, at London’s O2 on Sunday. 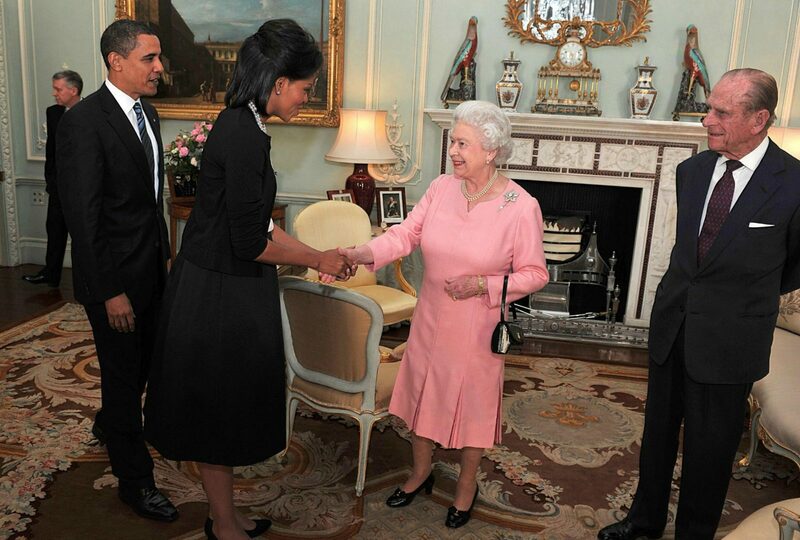 The former first lady sparked controversy when she placed her arm around the Queen during a reception at Buckingham Palace in 2009. 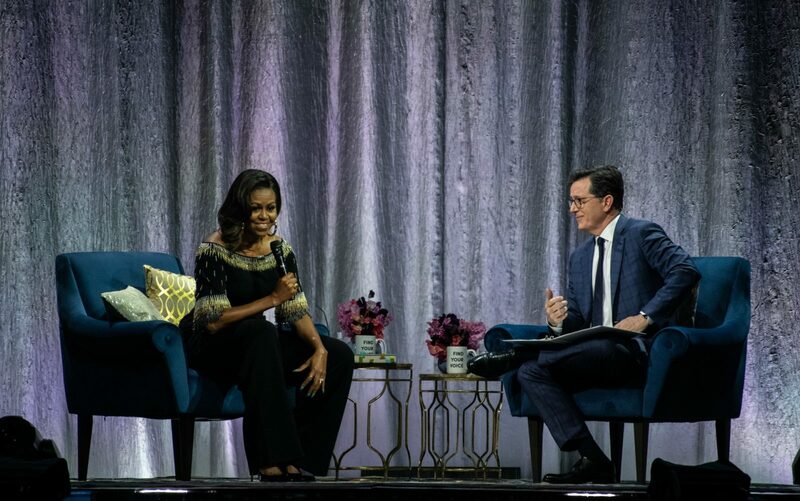 Ten years later, Michelle addressed the moment during a recent book tour stop and said she had no regrets about breaking royal protocol. Meanwhile, for the occasion, Michelle stood out in a black jumpsuit adorned with gold tassles, which featured a stunning off-the-shoulder neckline and flared pants. It comes after the mother-of-two took a step back to the 1970s last week as she donned a series of bold and sparkling suits for the promotion of her book in Copenhagen, Stockholm and finally Norway. Are you a fan of Michelle Obama?